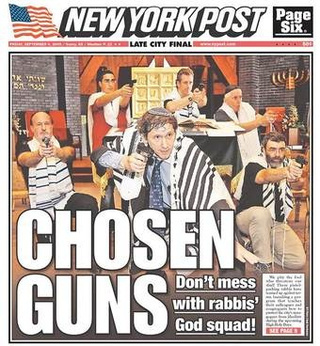 Jews should learn to fight, shoot guns, and memorize the teachings of Meir Kahane. That’s the message of this 1990s recruitment video from the JDL. The Jewish Defense League (JDL) is a Jewish religious-political militant organization whose stated goal is to “protect Jews from antisemitism by whatever means necessary”. Bear in mind that the JDL has been declared a terrorist organisation in the United States, yet they operate freely. Expanding the boundaries from 1949 was always the cause. They are classified as a terrorist organisation in America. Got something right there.